Many (most?) people make the serious mistake of using a single password for multiple online sites. The reason this is a bad idea is that when online sites get broken into, which happens all too often, passwords can be stolen that provide access to other sites, contributing to identity theft and serious losses; e.g., your compromised social networking site giving bad guys access to your online banking site. The best way to protect against this risk is to use different (strong) passwords for different sites, so the compromise of any one site affects only that one site. Many (most?) people don't do that because it seems like so much hassle. But it really isn't -- software exists that easily generates and manages unique strong passwords -- all you have to do is remember one (strong) master password that you don't use for anything else. Your other passwords are stored in a secure encrypted database file. A related problem if you use more than one networked device (computer, tablet, smartphone) is having your passwords available on all of them. 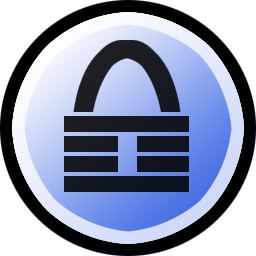 Fortunately there is a very good, free, open, and secure password manager that runs on many different types of devices: KeePass. The port for Android is called KeePassDroid. For cloud sync to my Android devices, I use FolderSync. Strongly recommended. Do it. Today.